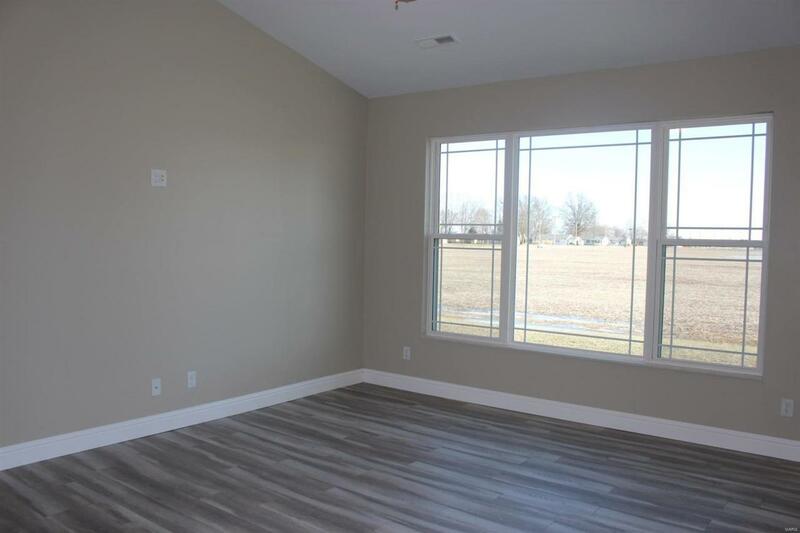 Spacious new construction W/open living design, w/hardwood floors, 9 ft. ceiling/vaulted ceiling in the great room, kitchen, dining room. 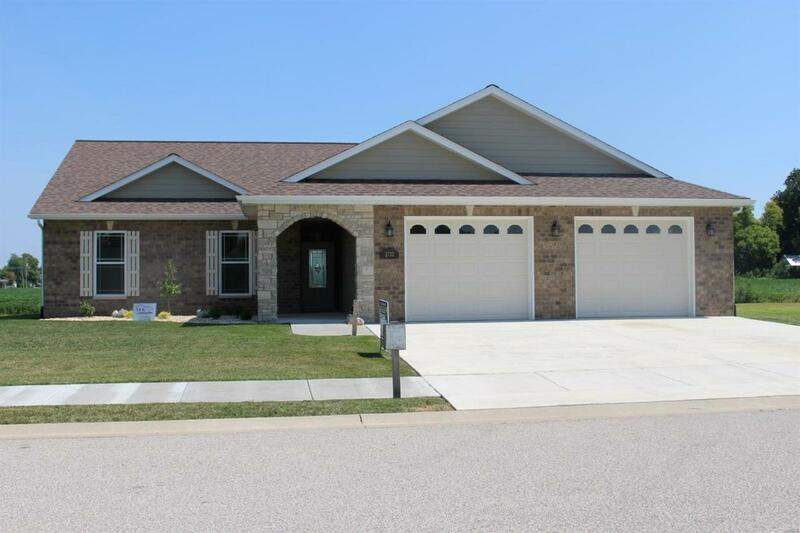 Beautiful kitchen W/white cabinets, breakfast bar, walk-in pantry. Dining room has sliding door to patio. 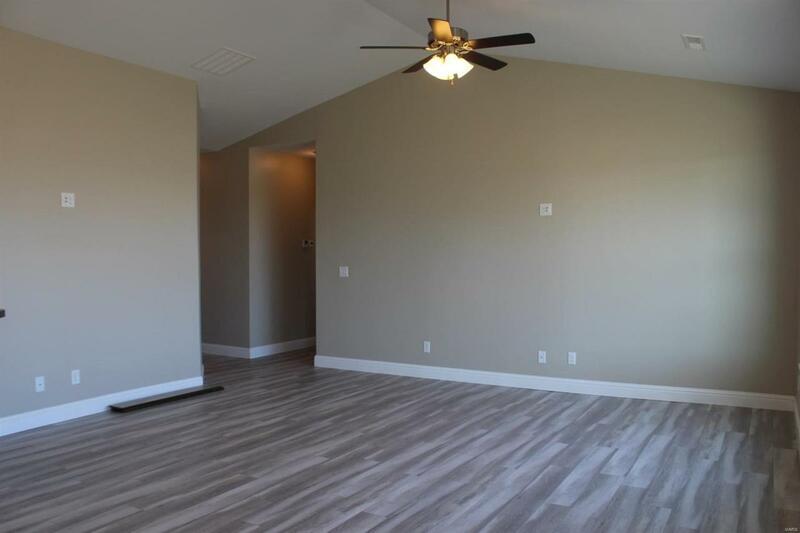 Attractive master suite W/coffered ceiling, walk-in closet. Master bath features shower, linen closet. Bedrooms 2 & 3 are spacious. Mud room has space for organizing & personal cubbies separate from laundry area & storage room. Garage is 30 x 22 W/8 x 8 storage area. Handicap accessible. Radiant heated floor W/backup electric furnace. Convenient location to Rt. 40, 143, 160, I-70, shopping, restaurants, school.